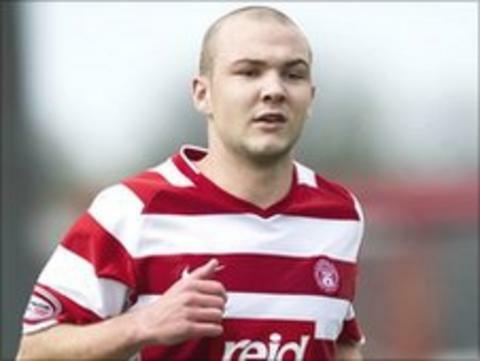 Midfielder Grant Gillespie has signed an extended contract with Hamilton. The 19-year-old, who has made 20 appearances for Billy Reid's first team, has agreed a further two-year deal at the relegated club. "I'm pleased that another of our talented kids has further committed himself to the club," said Reid. Gillespie follows Ali Crawford, another 19-year-old midfielder, who earlier this week signed a two-year contract until May 2013. Crawford was on loan at Bo'ness United earlier in the season but established himself in the squad as Accies' disappointing Scottish Premier League campaign progressed.